Activities you can do in the Sundarbans forest largely depends on the place you’re visiting, time of the year and duration of the tour. But here is a list of activities with suggested location. Sundarbans is a maze of rivers and creeks. Two third of Sundarbans are covered by them. So, to discover the true nature of this mangrove and to experience it’s extraordinary wildlife you have to venture in to the creeks with a rowing (wooden) boat as silently as possible. The abundance and the number of bird species, which paint the sky and the forest with vibrant colors as if right out of a fantasy will surely mesmerize you. 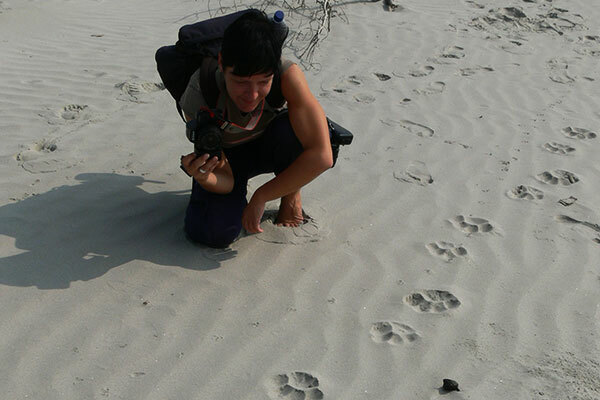 Monkeys, wild otters, deer, monitor lizards, snakes, mud-skippers, crabs are also common sites during these trips. But most importantly, most of the tiger encounters happened during a silent boat trip. You’ll never know what you’re going to find in the next tern. 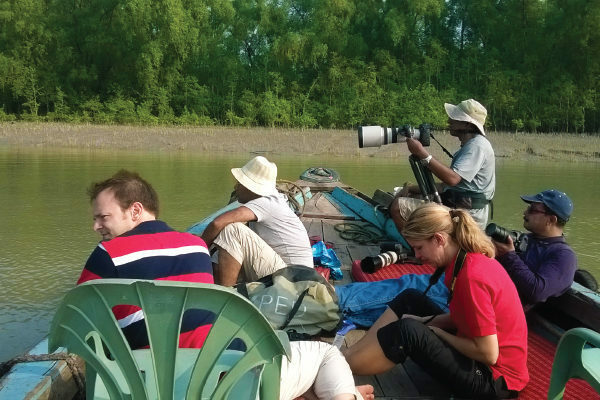 Usually all the trips going to Sundarbans will have at least one ‘Silent boat trip in to the creeks’. But remember 2 things, one, the best time for a boat trip is either in the early morning or late afternoon, and two, the most active time for the wildlife is first few hours of low tide. And if these two timing sync together, you’ll astonished. 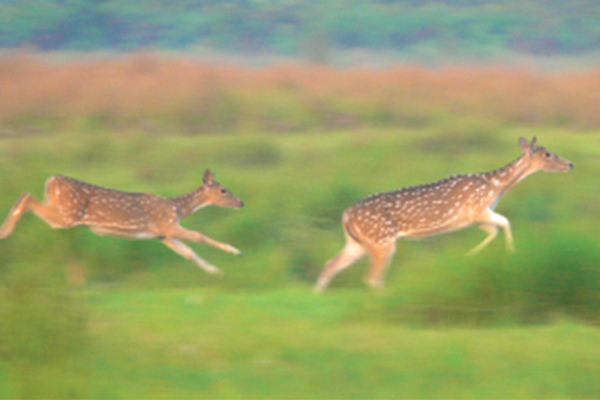 You can do this activity anywhere in the Sundarbans. But the famous ones for witnessing wildlife is in Katka, Kachikhali, Hiron point, Tambulbunia, Harbaria and in few more places, mostly in the southern part. The forest looks quite different when you’re inside the forest walking through the muddy forest ground. You’ll have to concentrate on every step though the mangrove roots. Try to walk through different type of forest vegetation. The experience of walk though big Keora forest and walk through Hental forest or through tiger ferns is distinctively different. 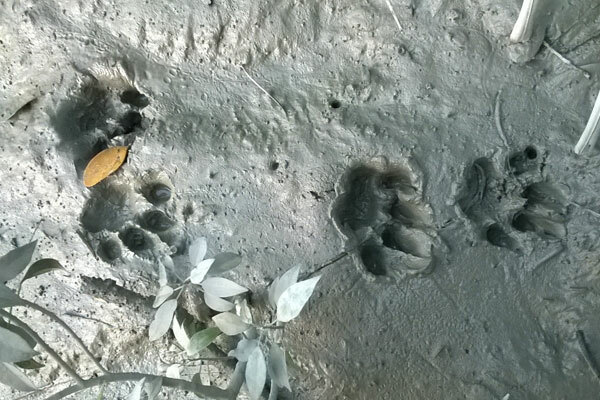 While you’re walking look for Pugmarks, tiger footprint, though anyway you can’t miss it. Because that’s the biggest footprint you can find in the forest. Also keep sharp; remember that you’re invading someone’s territory, the infamous Royal Bengal Tiger. Tiger footprint on beach!!! Probably these are the only beach(s) where you can see that. The Sundarbans is right on the cost. So the whole southern part is actually on the Bay of Bengal. If your destination is Egg Island, Kochikhali, Katka, Chhaprakhali, Dubla Island, Hiron Point, Mandarbaria. then you should do this. Logistics wise these beaches are not easily accessible. Only way to reach there is a 100 km cruise through the reserved forest. Which means only the people who are going to Sundarbans can go there and they are not many in numbers. So most of the time these beaches are empty. There is a strong possibility that you will not find anyone there other than your group as far as you can see. It will feel like your own personal sea beach. And don’t wait for anything- jump in to the water and you’ll be surprised; the water is warm, as it should be in a tropical location.